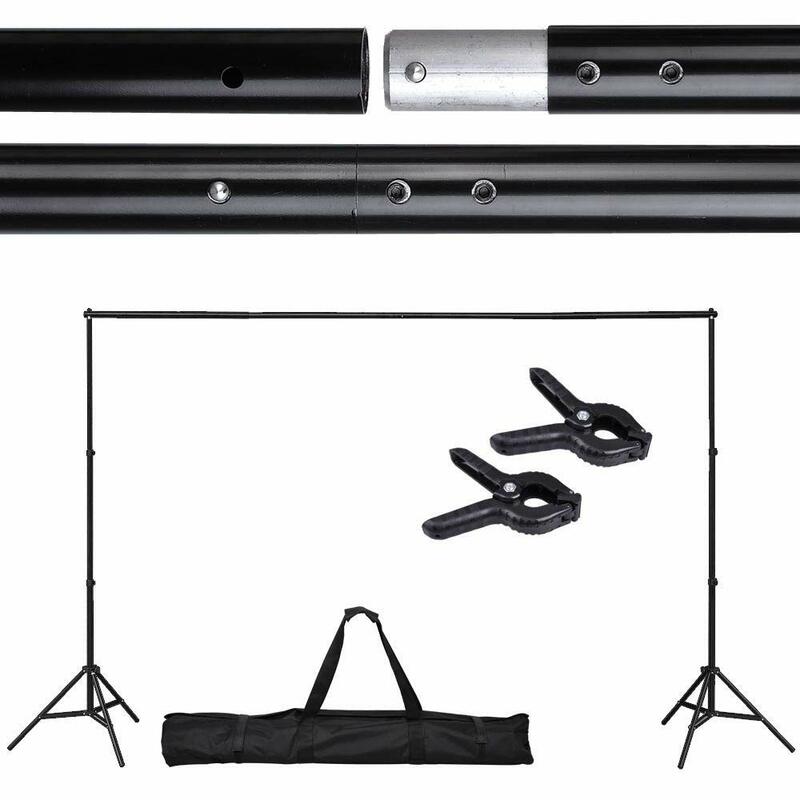 10′ x 6 1/2′ Professional Telescopic Photo Backdrop Support Stand Kit; Very easy to use and set up in minutes. 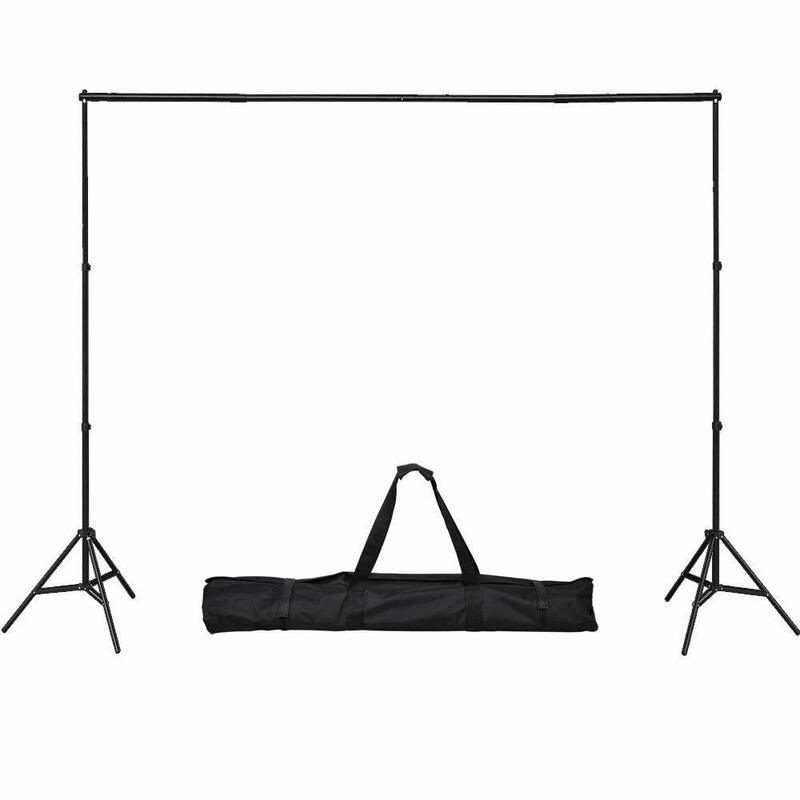 Telescopic Background/Backdrop Support Stand: 6 1/2 Feet full extension height and 2 2/5 Feet Minimum height; Supports background up to 10-Ft in width. 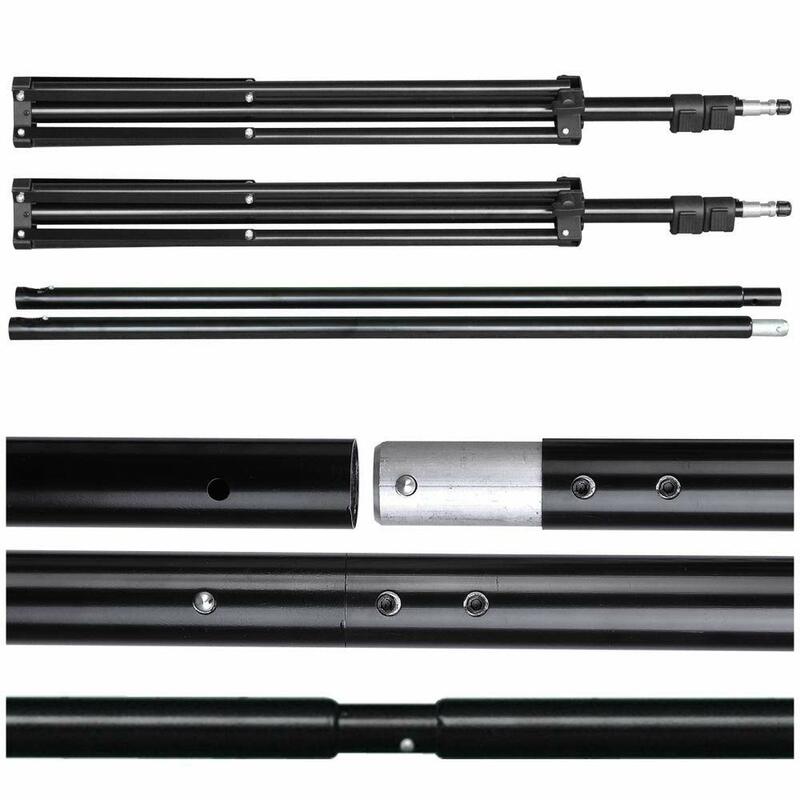 A perfect solution to produce photo and video for web retailers and commercial product catalog, especially for costume and portrait; Ideal for canvas, muslin fabric & paper backgrounds. 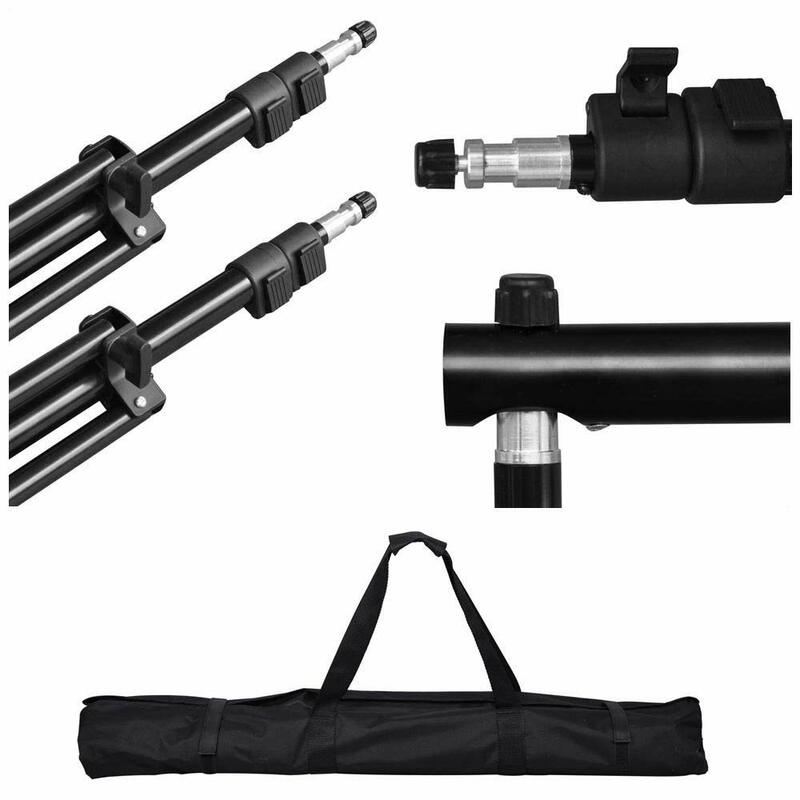 This brand new portable background/backdrop support stand kit is extremely suitable for all level photographers. 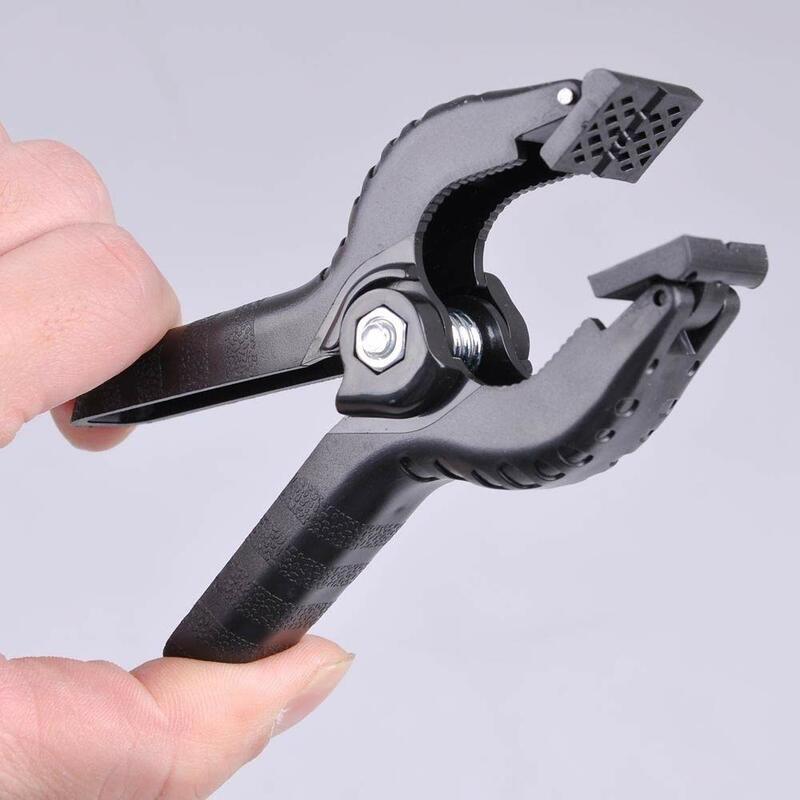 * Valued $14.99 at market price!